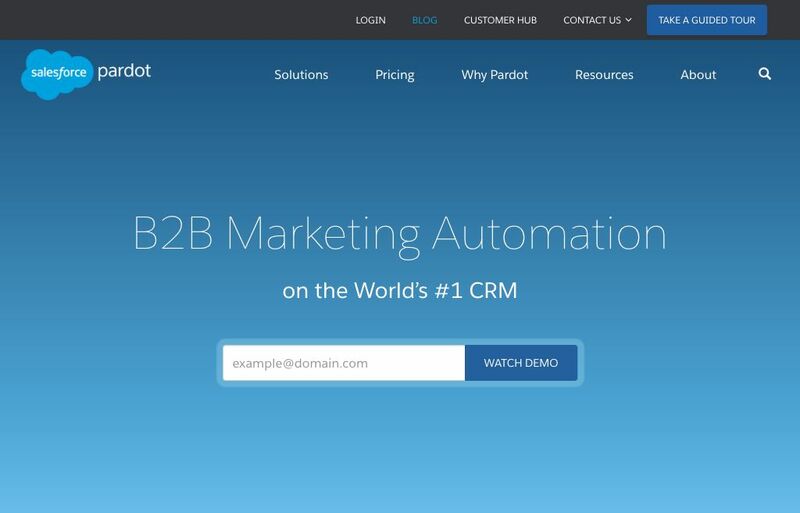 Pardot is now part of Salesforce and has a strong B2B focus in it’s approach to marketing automation. Features include lead nurturing, lead qualification, segmentation and dynamic content. 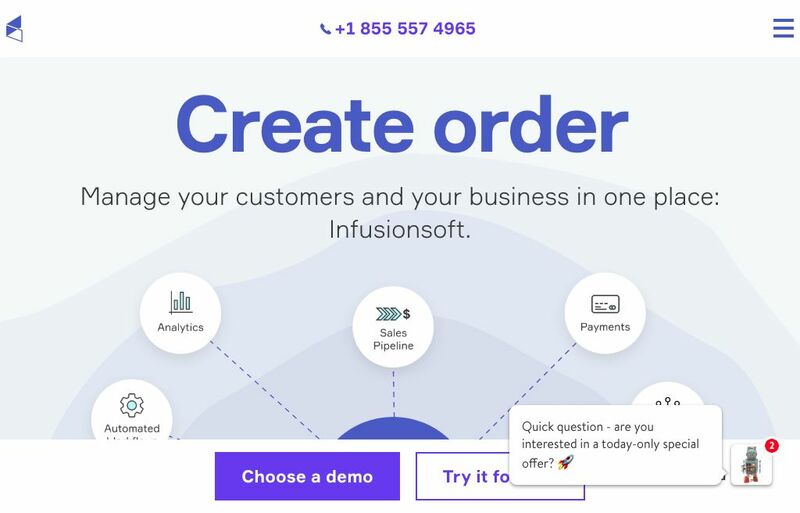 Infusionsoft is well known for it’s marketing automation software, but has a reputation for being complicated. However if your are looking for more of a complete business management system with e-commerce, quotes & invoices, as well as appointments and analytics it could well be the tool for you. Pricing starts at $199/month for 2,500 contacts. 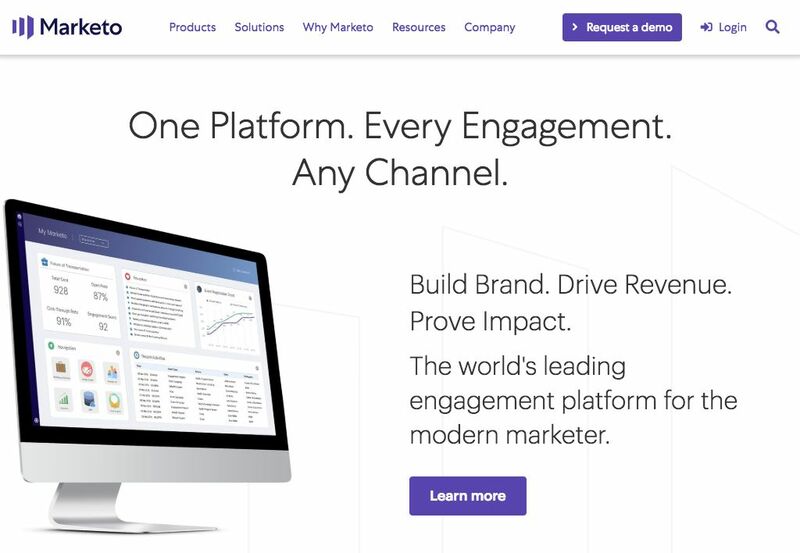 Marketo includes features for lead management, email marketing, consumer marketing, customer base marketing and mobile marketing. With a strong emphasis on multi channel marketing Marketo is geared very much towards Enterprise level customers. An important part of lead generation is managing your leads over time to keep track of your interactions with them and keep them moving towards becoming a customer. 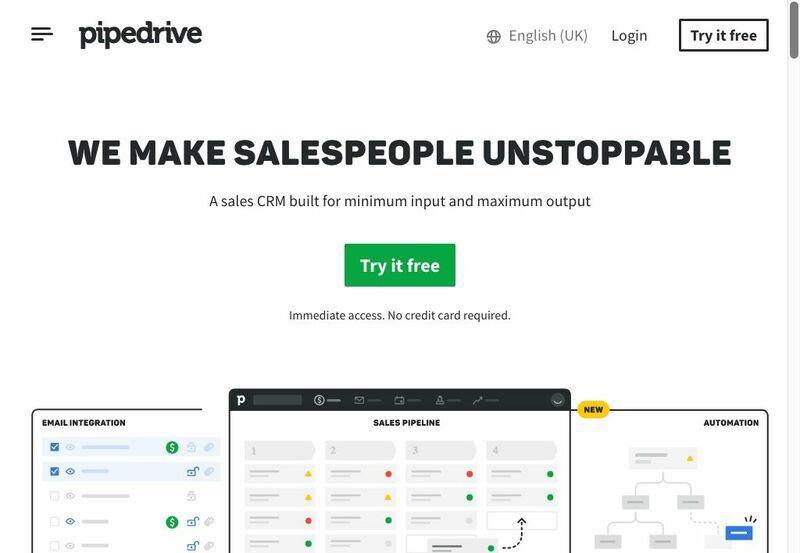 Pipedrive is a Sales CRM designed to help you manage and close leads. 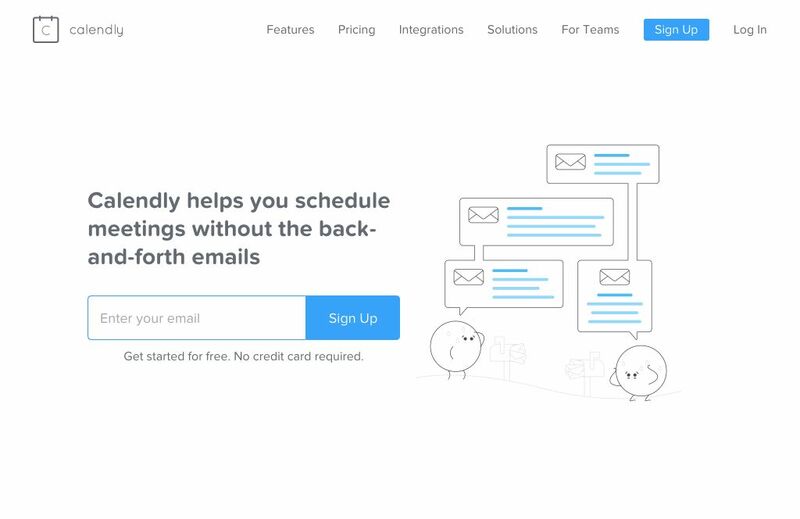 It automatically tracks emails and calls giving you a view of your sales process as a sales pipeline. Pricing starts at £15/month per user. 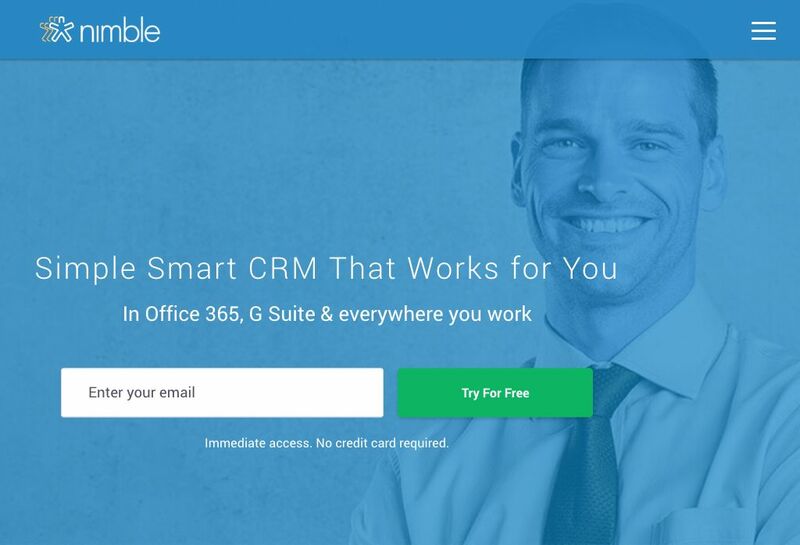 Nimble is a social CRM that includes prospecting features and populates contact information from social media sites to build more complete profiles. You can also manage your calendar appointments, tasks and sales pipeline. Pricing starts from $9/month per user. Insightly includes a relationship mapping feature to help you understand the connections between your contacts, building a clear view of an organisation’s structure and informal networks. There is also the ability to convert won deals into projects to help data transfer and ensure smoother project delivery. Pricing starts from $29/month per user. 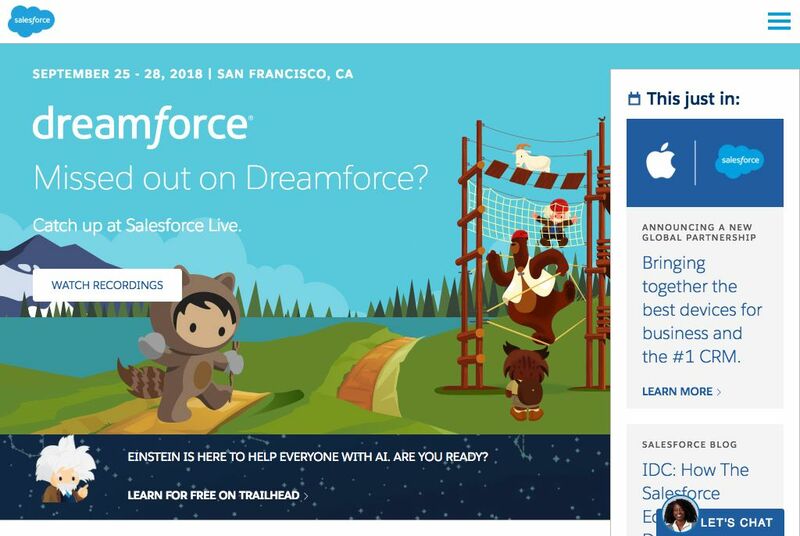 Salesforce is well know as one of the top sales lead management systems, it has a full suite of business applications from CRM to customer support, marketing, commerce to team management solutions. Pricing starts at $25/month per user. Capsule CRM’s focus is on keeping your contacts organised with interaction history tracking, the ability to attach documents, manage tasks and share information with co-workers. Chat and messaging has become a major tool in the generation and management of leads. It’s immediate and for many a preferred way to get quick answers to the specific questions your leads have while they are on your website. 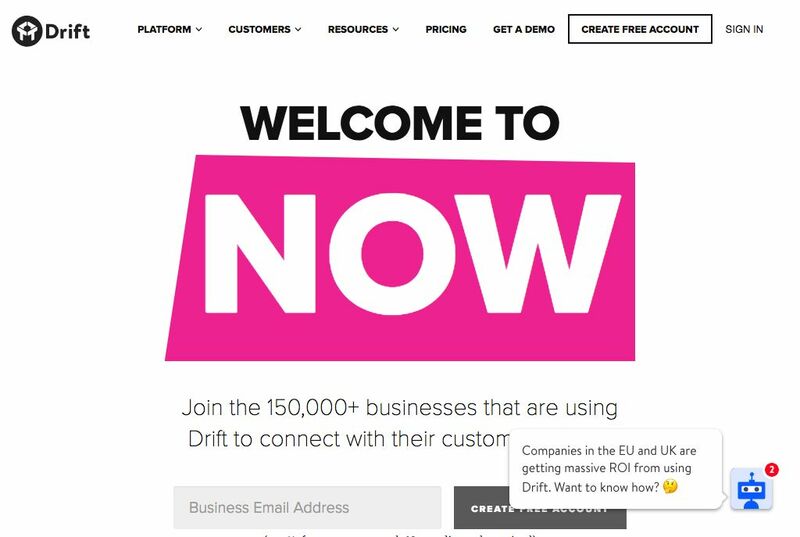 Drift pitches itself as a ‘Conversational Marketing Platform’ and aims to replace lead generation through the use of web forms with the use of chat bots that ask the questions you would include in your forms. Pricing starts with a free plan. 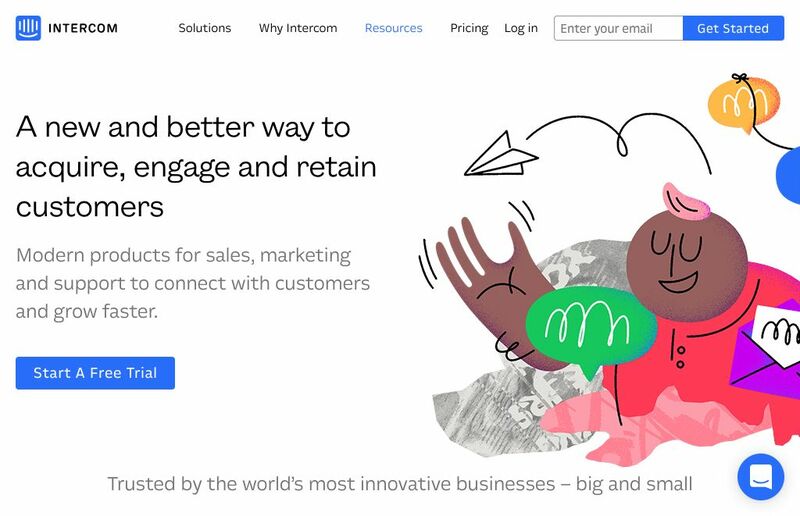 Intercom comes with features geared towards acquiring, engaging and supporting customers. With bots and live chat for websites, support and knowledge base tools, and customer on-boarding features for SaaS companies. 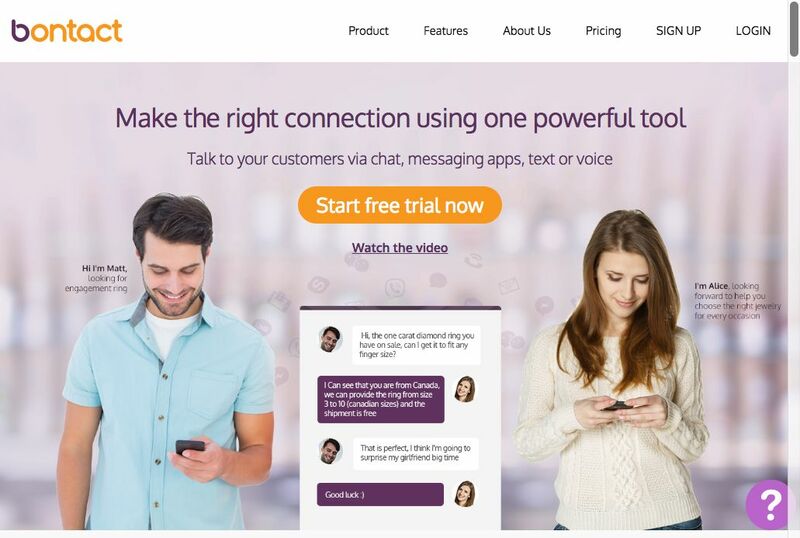 Bontact combines live chat, voice, email, SMS, and Messenger into one platform so that you can communicate with your customers anytime, anywhere and on any device. Bontact can also automatically sync to any CRM or business tool. Pricing starts at $30 per month. Callpage is designed to generate sales calls from your website visitors. 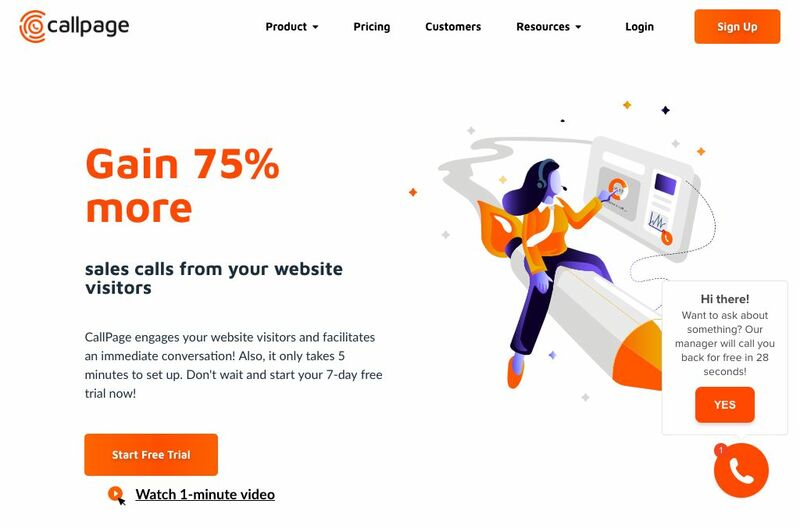 Your website visitor clicks the CallPage button, they add their phone number and the system then connects a call between your visitor and you. 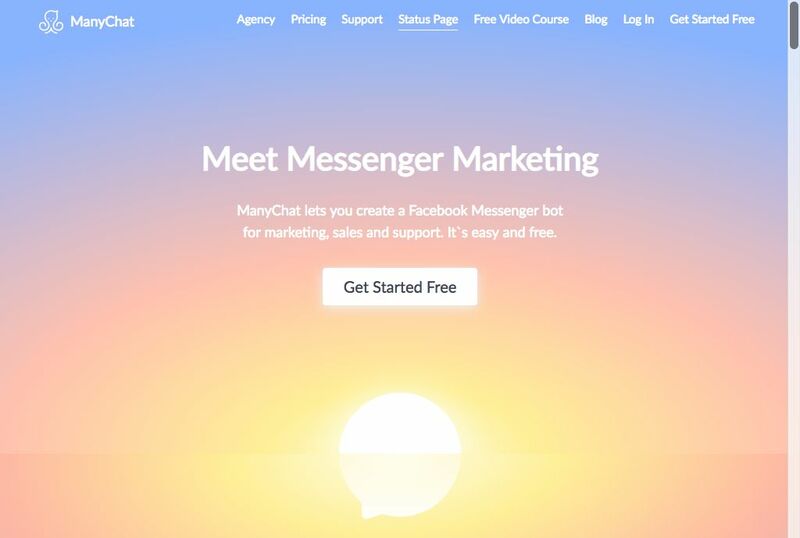 ManyChat lets you create a Facebook Messenger bot for your website. You create a bot using ManyChat’s platform using a drag and drop editor and connect your Facebook page to ManyChat. You can grow your subscriber base and send automated messages. Many of the tools we have looked at so far have been inbound in nature, looking to convert website visitors into leads and manage them. For many businesses much of their sales lead generation is outbound in nature. Targeting the organisations that would potentially be a good fit as a customer. 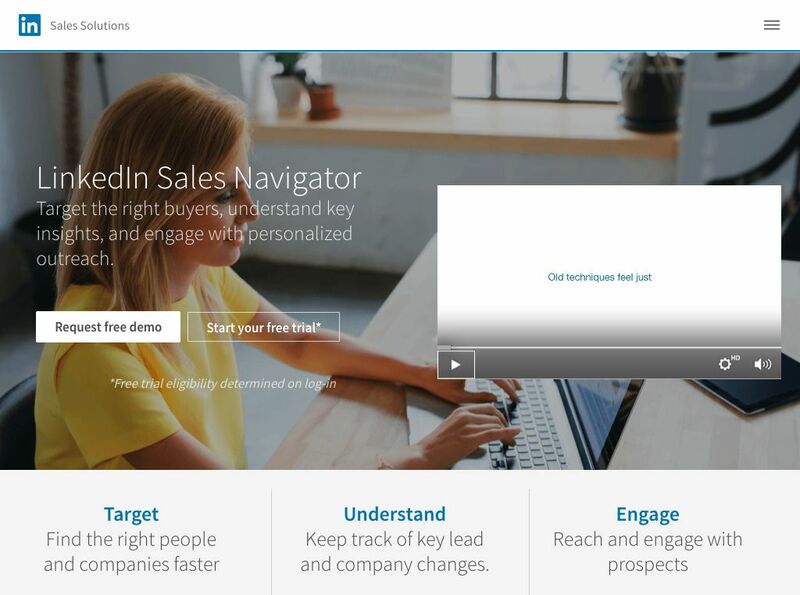 Linkedin Sales Navigator is a product that utilises Linkedin’s massive business contact database to allow you to target companies and people, reach and engage with prospects and keep track of company changes. Email address finders pull in information from a variety of sources to identify people’s email addresses within organisations. 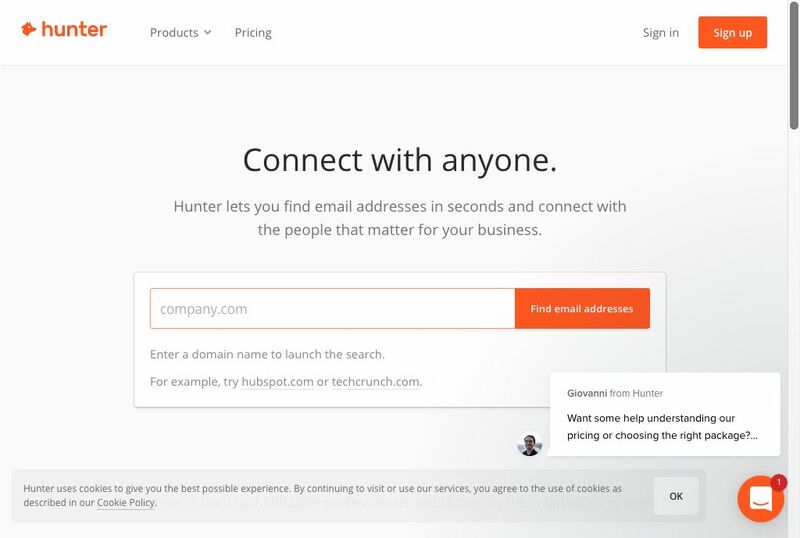 Hunter boasts 200+ Million email addresses indexed from the web. With search filters and scoring to help you narrow down your search. Hunter can also be used to search for email addresses one by one or in bulk to enrich your database. 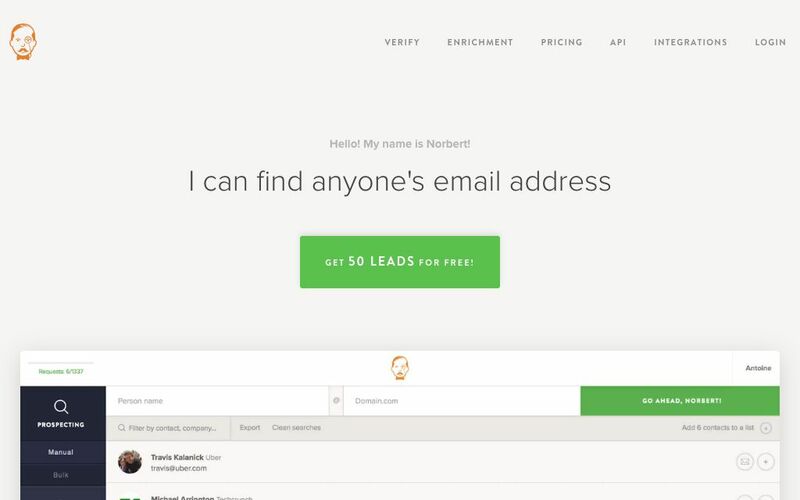 VoilaNorbert is useful for prospecting, verifying email addresses and enriching the data you already have with job titles, locations and social media accounts. Pricing starts at $39/month for up to 1,000 leads per month. 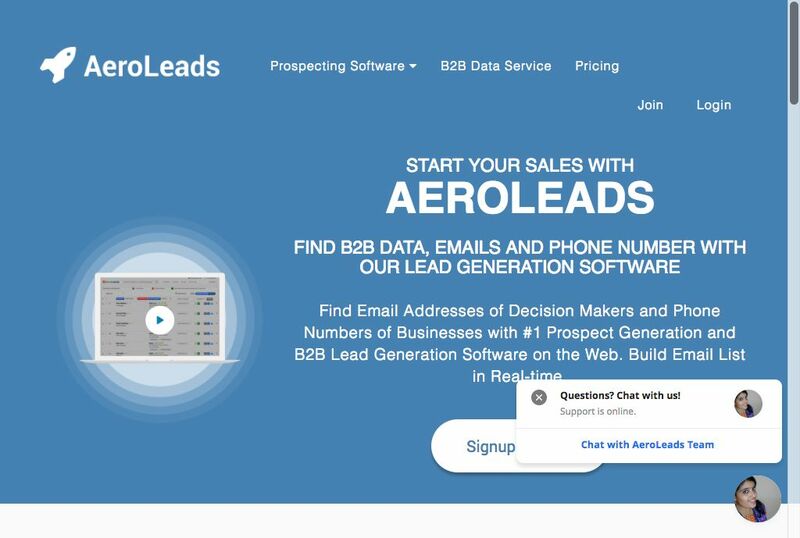 AeroLeads finds prospects from LinkedIn, Crunchbase, AngelList, Inbound.org, Google and any other site and provides email, full names, company name, phone number, website address and the title of the prospect. Pricing starts at $49/month for 500 records. 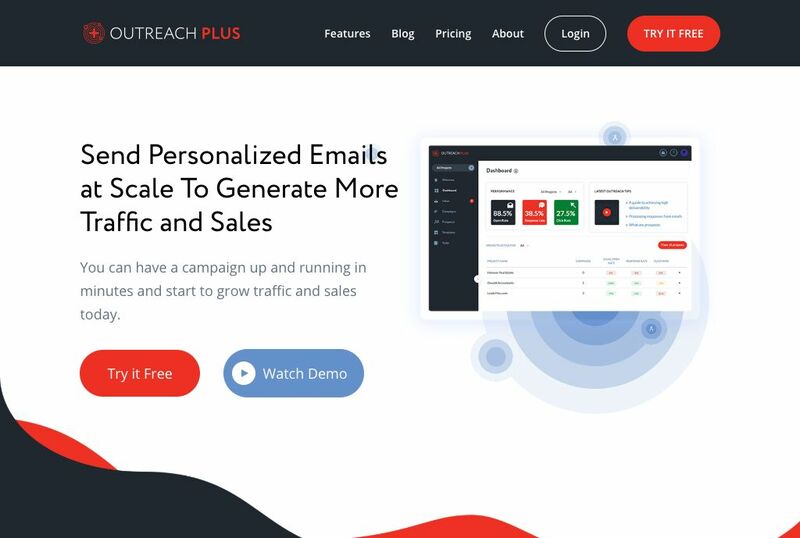 OutreachPlus allows you to automate the sending of personal emails by connecting directly to your Gmail, Outlook or SMTP server it sends personal emails at scale and adds automation and tracking features. 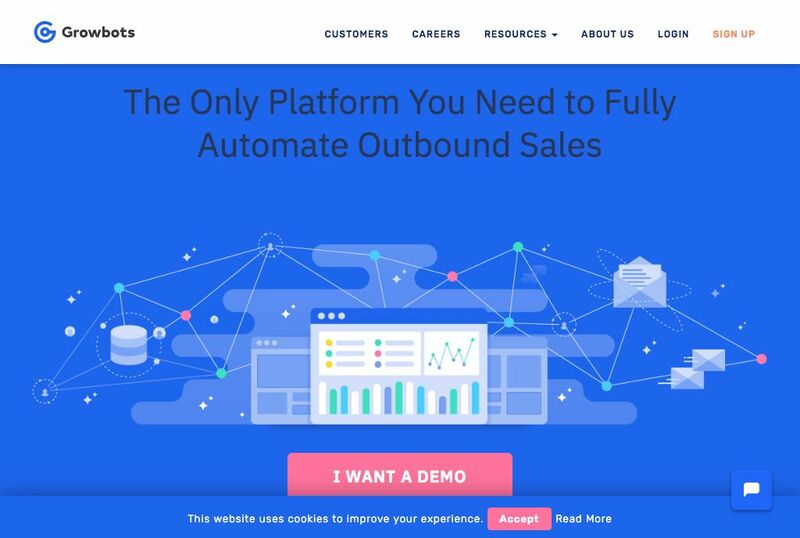 Growbots combines prospecting and outreach into one system. With a database of over 200 Million contacts there are also automation and testing features to help you refine your results. Prospect.io is a sales automation platform with prospecting features to find and verify email addresses and phone numbers, outreach features for sending cold email campaigns through your own email server and the ability to synchronise with existing sales tools. Being active and helpful in social networks and communities can help build goodwill, demonstrate expertise and drive leads to your website. 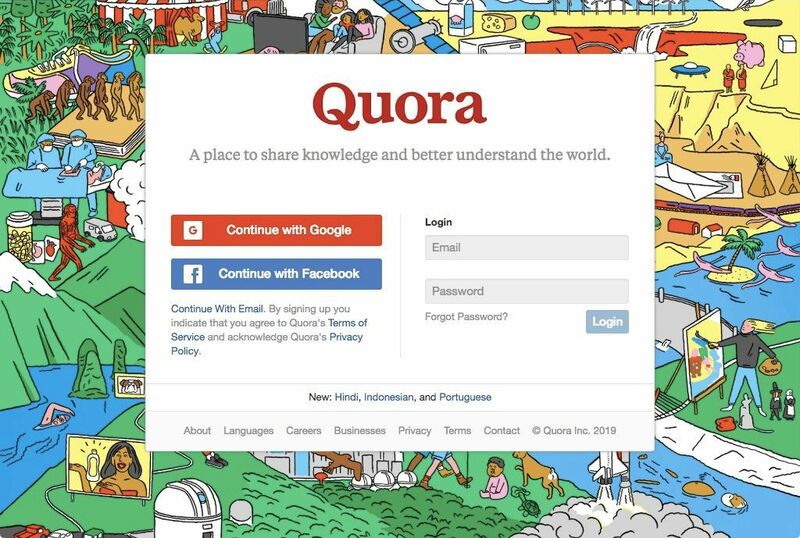 Quora is a question an answer website with 300 Million monthly users where you can answer posted questions from people in your target audience helping to drive awareness and leads to your website. Answers on Quora can often be found ranking well in search results. YouTube is Google’s video publishing platform, and the world’s second largest search engine. As well as being third most visited site after Google and Facebook. Many people prefer to consume information visually so as well as creating printed and ebook content creating video that speaks to your buyers needs is a great way to drive awareness and traffic. 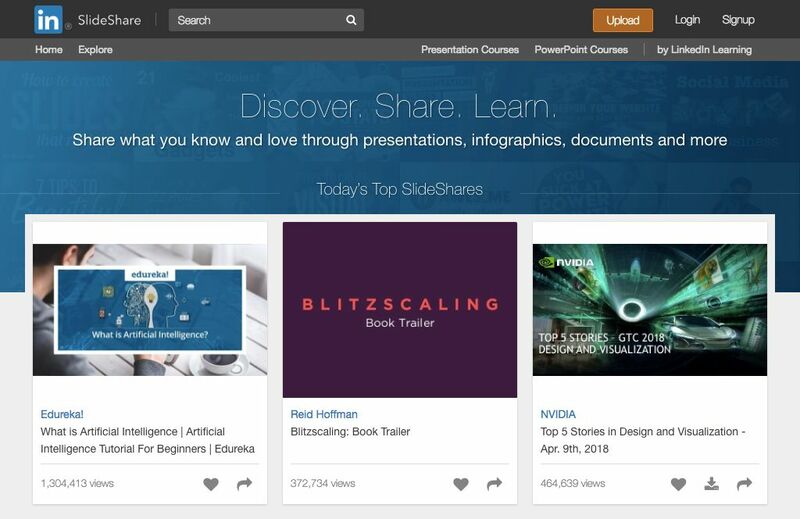 LinkedIn slideshare is like YouTube for slideshows and gets around 80 million unique visitors per month. Creating entertaining and informative slide content for your buyers can open up a new channel for inbound leads. Advertising for lead generation has a strong focus on identifying and gaining visibility with your ideal prospects. The good news is that social networks in particular can offer amazing targeting possibilities to make sure you are talking to the right audience. Also many advertising networks have retargeting capabilities that allow you to create campaigns that target people that have already visited your website allowing you to create campaigns designed specifically to re-engage leads. 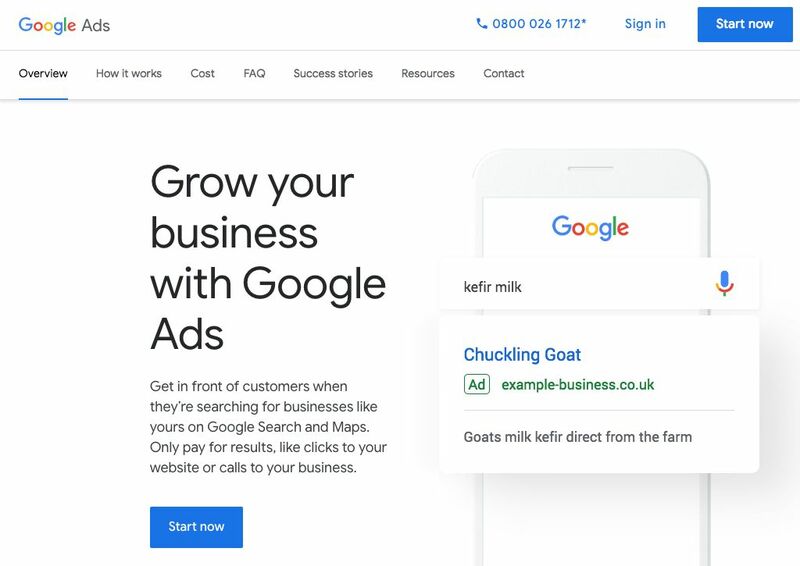 Google Ads allows you to advertise on search engine results pages to gain visibility and generate traffic from people who are searching for what you offer. You can manage how much you spend on a daily basis and you are bidding against other advertisers to gain visibility so clicks for big ticket items can be expensive. Facebook allows you to promote posts and to create ads that can be shown on Facebook, Instagram, Messenger or their audience network. There is also the option of lead ads which are great for lead generation as they include a basic form as part of the ad and remove much of the friction clicking out to landing pages can incur. LinkedIn has a strong business to business focus and the stats look good with 40 million decision-makers, 10 million opinion leaders and 61 million senior-level influencers, what’s not to like? 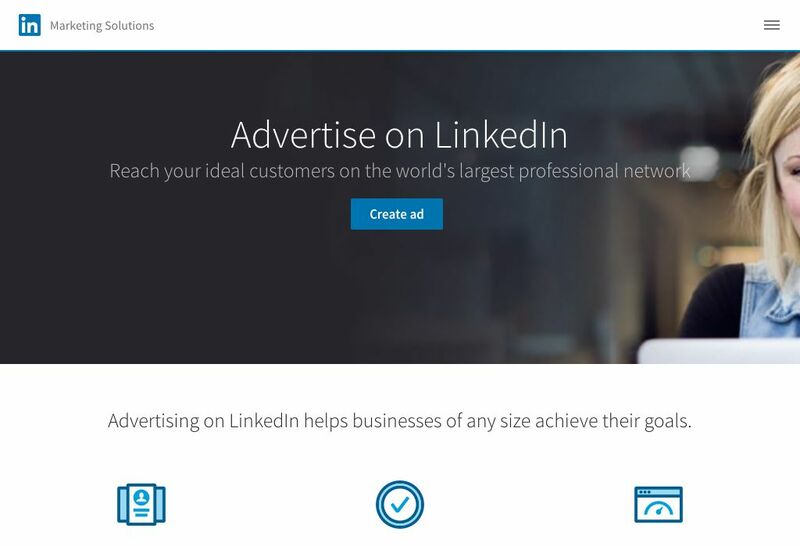 Options include Self-service ads, Sponsored content and perhaps the best of all (particularly for lead generation) LinkedIn text ads. These show up in the right rail of the news feeds and you can fine tune your targeting options to drive the best quality leads. 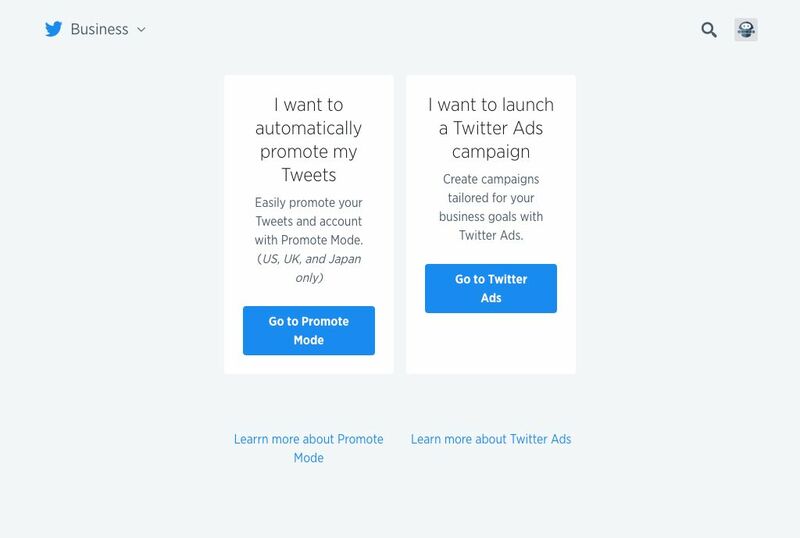 Twitter Ads allow you to create objective based campaigns and can be used to drive website clicks and conversions, there’s no minimum budget required and you can pay for specific results such as visits to your website. 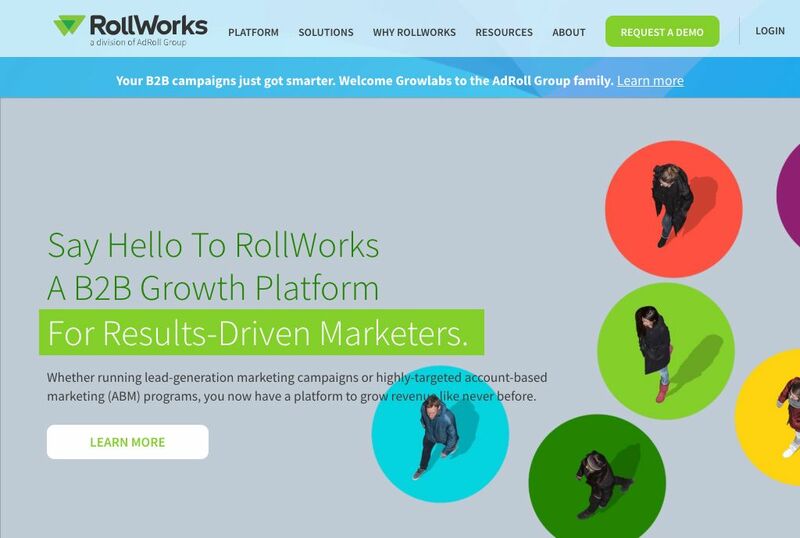 Rollworks positions itself as a B2B growth platform for results driven marketers (show me someone who isn’t results driven!). They claim to deliver 5X the ROI of alternative B2B platforms and combine targeted advertising with account based marketing (ABM) features. 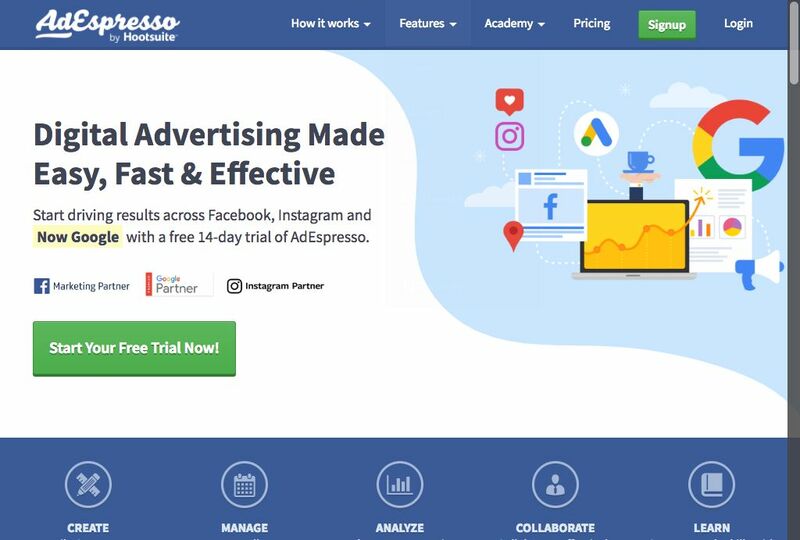 If you are running ads across Facebook, Instagram and Google then AdEspresso may be of interest to you as it simplifies the process of creating, managing and optimising campaigns across these networks. Make the process of setting up sales calls and product demonstrations as painless and friction free as possible by using calendar tools. 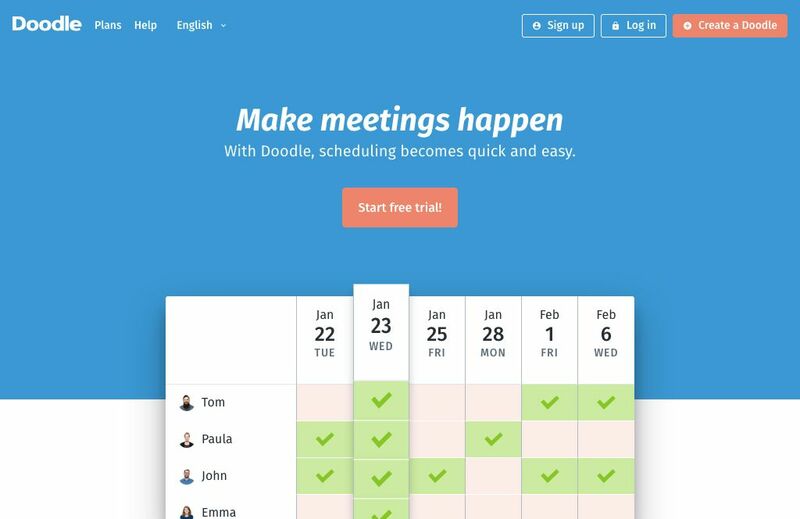 Doodle makes scheduling appointments quick and easy, with options to suggest times, invite participants and then select the best option. You can customise the branding for a more seamless experience for your leads. Calendly allows you to add your availability and when a lead picks a schedule slot your calendar is updated automatically. There are features for teams such as team member selection and team wide pages, as well as a range of integrations with CRM and marketing automation systems. Pricing starts at $8/month per user. There we go! 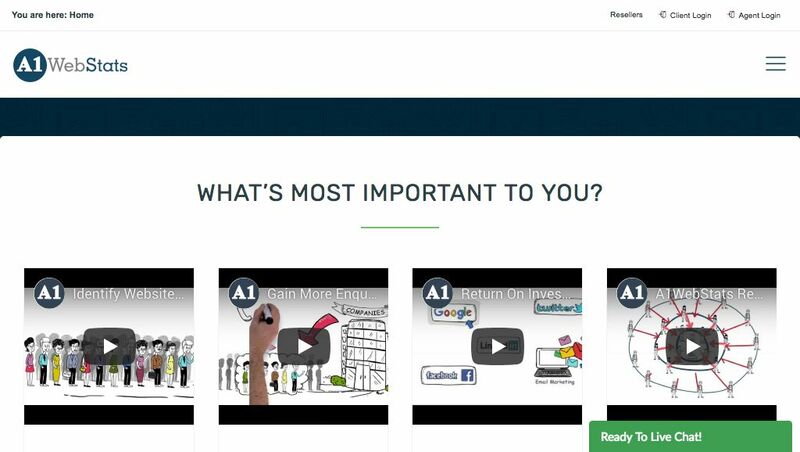 That's our pick of the top 50 very best lead generation tools to grow your business with, plenty for you to try out and play around with. 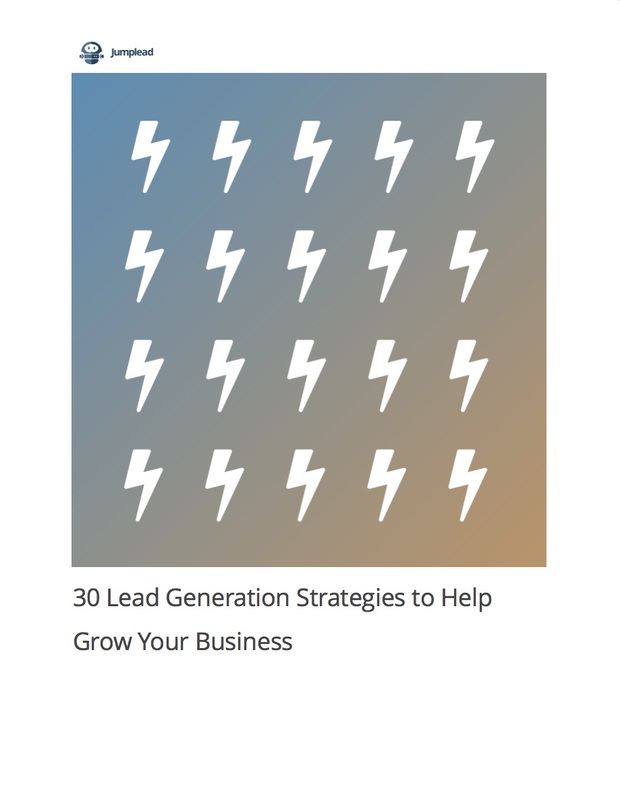 And if you’re super focused upon lead generation and are ready for a deep dive into the subject why not check out our Definitive guide to lead generation that covers everything from demand generation, lead generation strategy to tools and tactics. Don’t forget to check out Jumplead which combines a bunch of the most powerful lead generation mechanisms into one super powerful service. Lead generation is a challenging process to get right, from getting potential customers to your website, then converting them into leads, to nurturing them over time into customers. To make that magic happen you need to pull together the right set of lead generation tools. The good news is that these days you are spoilt for choice. There is lead generation tools of every shape and size, all offering to meet your lead generation needs. But where do you start? Which ones will work for you and and how should you use them together to guarantee that never ending flow of super qualified high value leads that’ll sky rocket your revenue and fuel your growth? We’ve pulled together a comprehensive list of some of the major lead generation tools and broken them down into categories to highlight options within each. Interestingly, while the majority of the lead generation tools on offer are designed to deliver category functionality (popups vs email sending), there are some that combine lead generation, lead nurturing and lead management. 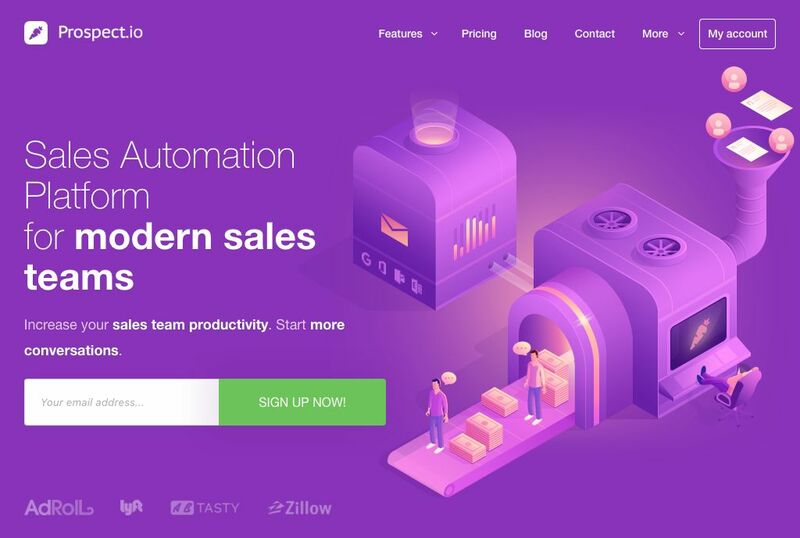 These all-in-one marketing automation systems are built to generate leads and nurture them into customers without the hassle of piecing together multiple tools and services. 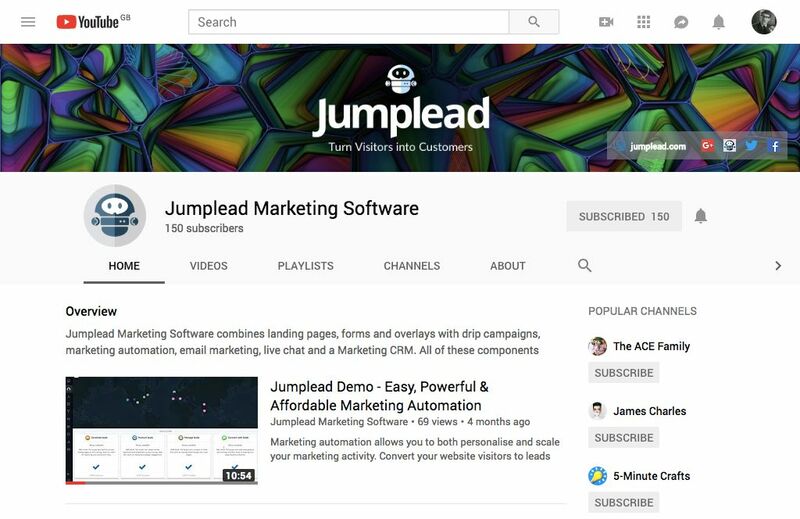 Jumplead is a great example of an all-in-one marketing platform that combines lead generation forms, popups, landing pages with email marketing automation and an onboard CRM to score and manage your leads. This is lead generation software designed to allow you to both generate and nurture your leads in the same place. 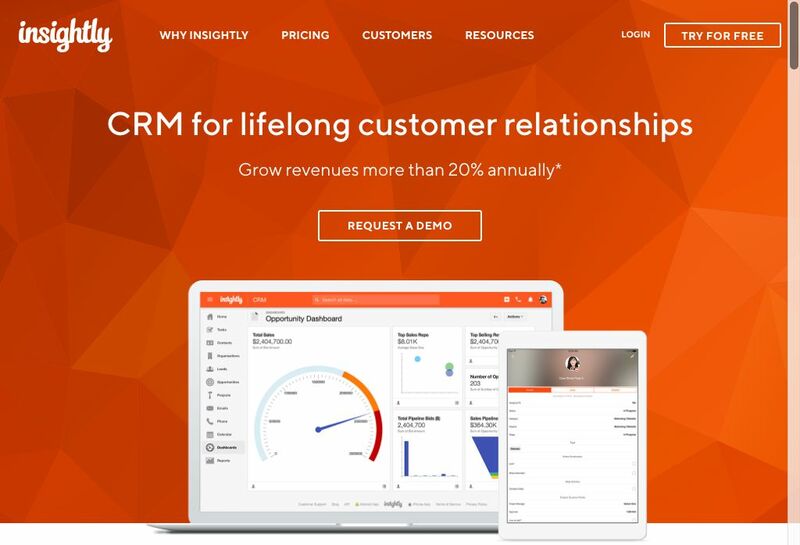 From publishing your lead magnets with landing pages and web forms and popups to triggering automation workflows that nurture leads over time, and capturing information to qualify your leads and move them through sales stages in an onboard CRM. What’s more Jumplead comes with live chat so you can help your website visitors become customers answering their specific questions. Out of all of the lead generation tools in our top 50 only the marketing automation tools (and Jumplead) have the capability to create a manage a full inbound lead generation process from publishing lead magnets to nurturing leads through sales stages and tracking progress in an onboard lead management CRM all within the same platform. The majority of lead generation tools are designed to support the use of content marketing for lead generation. 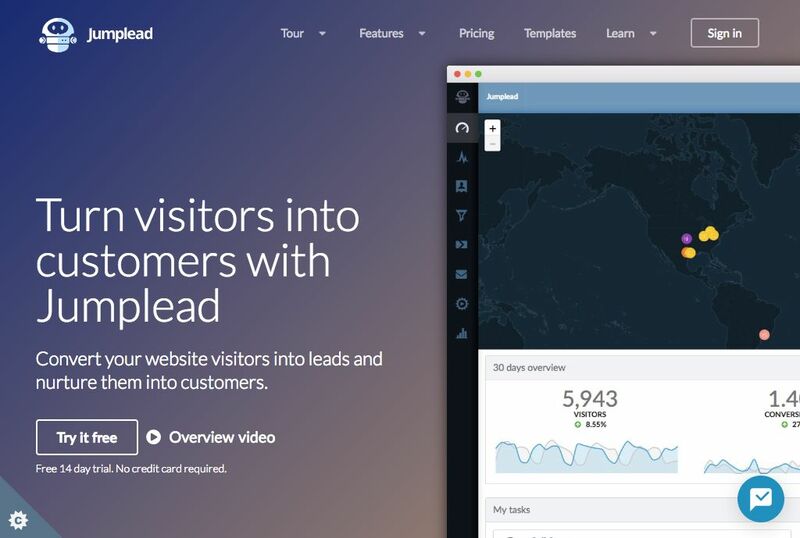 Lead magnets are a proven lead generation tactic to convert your website visitors into leads, by offering irresistible content that directly addresses their needs. These are the ebooks, swipe files, checklists and cheat sheets we all know and love. There are lots of opportunities to deliver these offers, from embedded forms within your website, to purpose built landing pages and popups that grab your visitors attention as they scroll down your page or just before they leave. 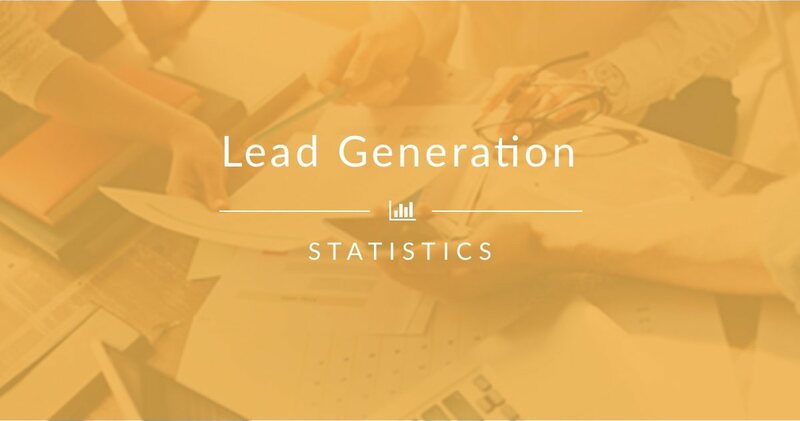 A robust lead generation process allows you to publish your lead magnets, capture and manage lead information and follow up with marketing automation campaigns. And this is exactly what Jumplead delivers. Now lets dive into the full list of our lead generation favourites. 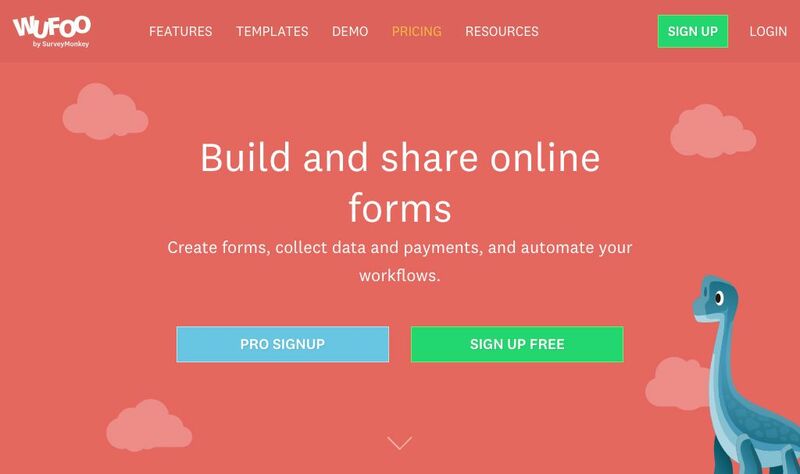 Jotform allows you to quickly build forms for your website, there’s a drag and drop editor to build your form and a choice of 7,000 templates to work from. When someone completes your form you get an email containing their response. Jotform has a free plan and paid plans start at $19/month. 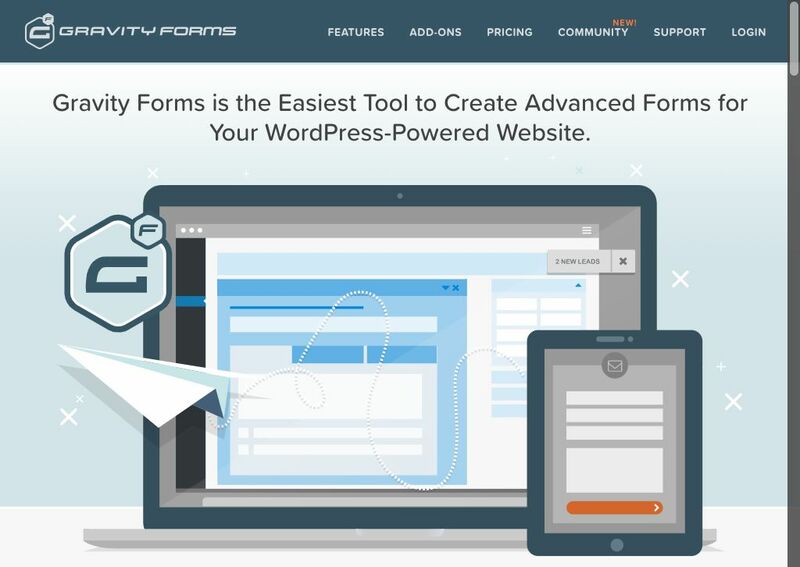 If your website is built with WordPress then Gravity forms is a popular plugin for creating web forms. Conditional logic can be used to show and hide elements, and there is the option to trigger and email when a form is completed. Gravity forms start from $59/year. 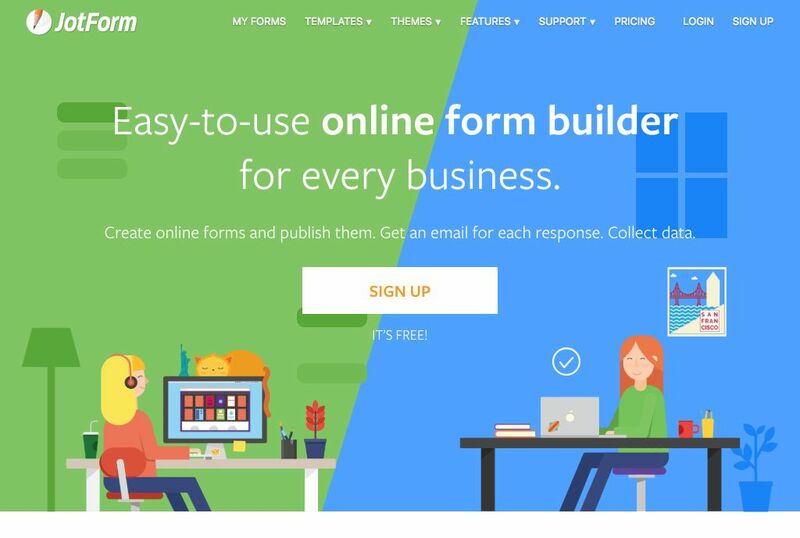 Wufoo is a popular choice for building online forms and comes with over 400 templates and the ability to create custom rules for dynamic forms. As well as having a drag and drop form editor there is also the ability to create data visualisations. Wufoo is free for up to 5 forms and pricing starts at $14.08/month. Love them or hate them, popups are a must have tool for lead generation, grab someones email address with a lead magnet offer as they leave your website, scroll down your page or after a time on page delay. Easy. 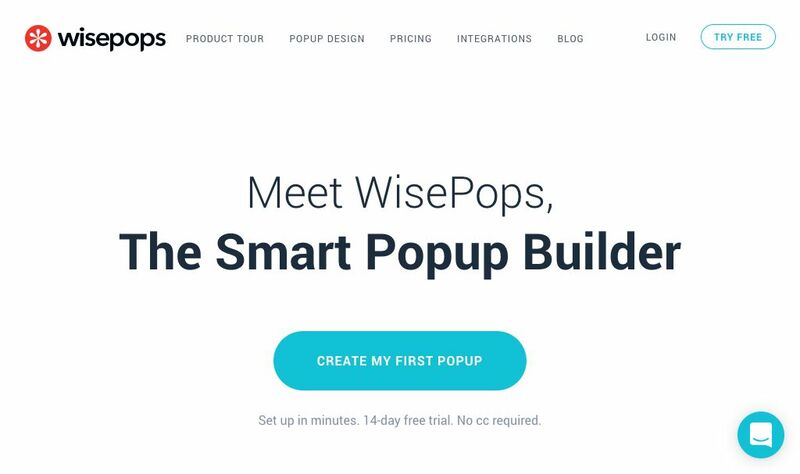 Wisepops comes with 6 ways to trigger your popup (landing, exit, scroll, etc.) a drag and drop builder for creating your campaigns and the ability to do A/B testing. On the Pro plan there is also the option to create ‘contextual targeting’ where you can initiate popups based upon custom parameters. 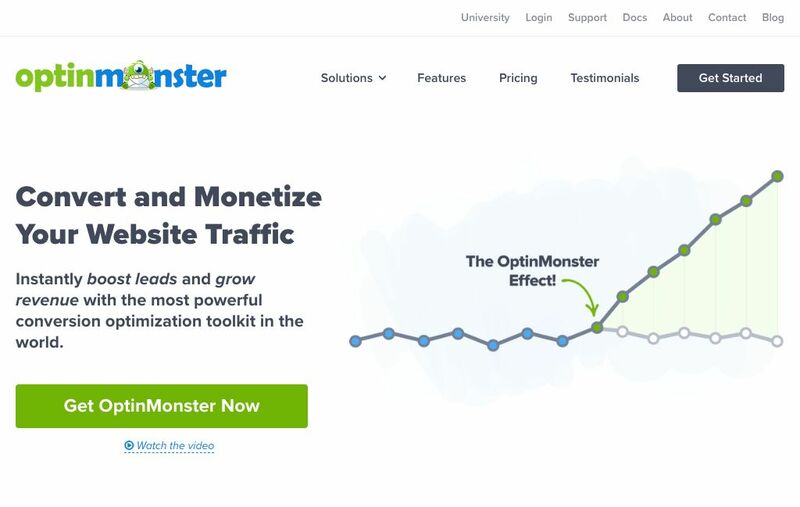 Optinmonster comes with a drag and drop builder and a choice of 8 different popup types from lightbox popups and fullscreen welcome mats to slide in scroll boxes and floating bars. Popups can be triggered in 6 different ways from when someone is leaving your website to scrolling and inactivity. Sumo offers a range of different types of popup including slide-in and welcome mats. There is also the option of adding a social bar and heat maps to identify visitor interest in page elements it’s one of the most popular services of this kind and has a free plan. Pricing free, then $29/month up. 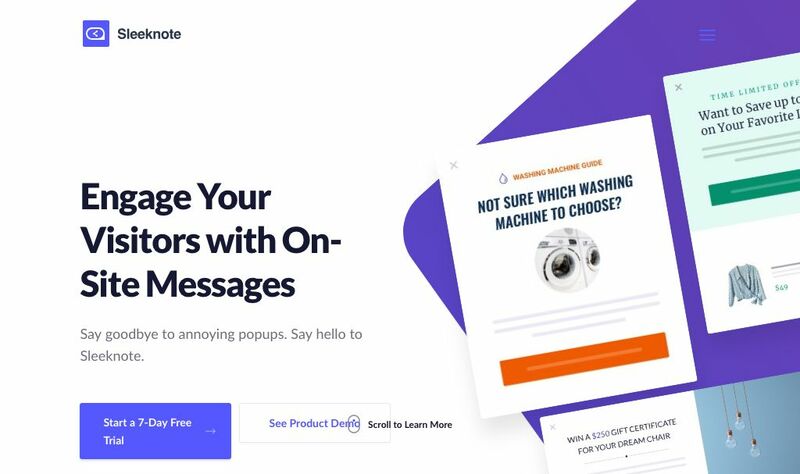 Sleeknote has a drag and drop builder, page specific targeting, a rule engine to help you personalise your messages based upon criteria such as behaviour, traffic and device. It also comes with real time analytics to allow you to track performance. 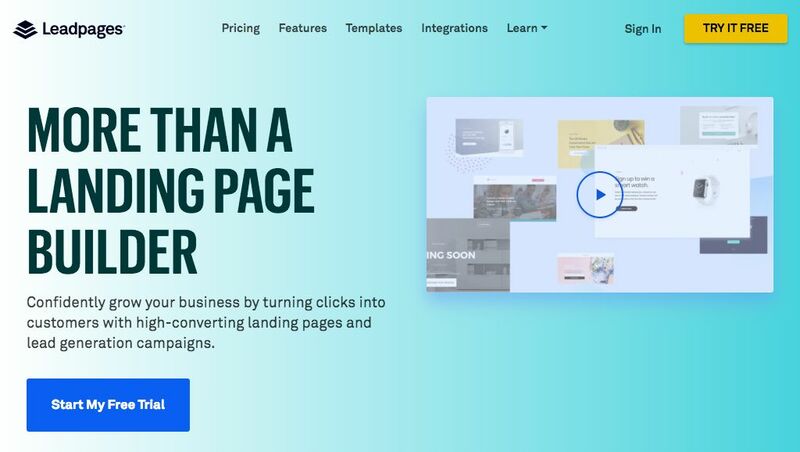 Landing pages have their own URL so that you can send traffic to them directly, they are super handy for marketing offers and campaigns because once the software is set up you can create multiple pages without the need to make any changes to your website. 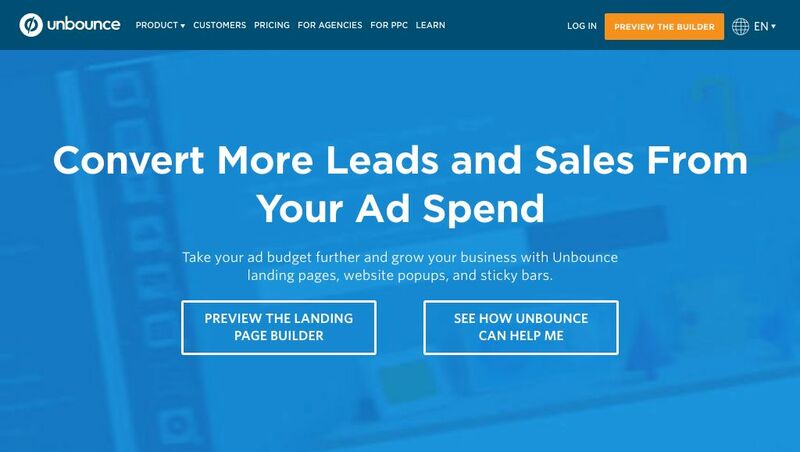 Unbounce comes with a drag and drop page builder and the ability to create mobile responsive pages. You can also create website popup and sticky bars to run promotions within your website. 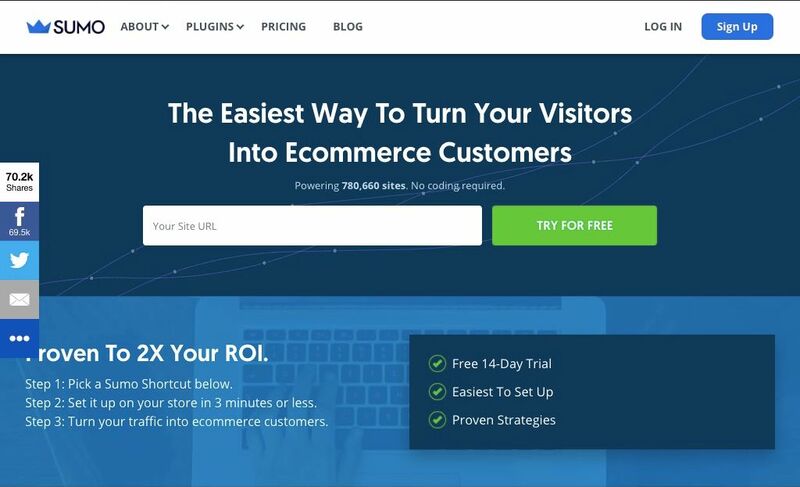 It’s a popular service for building landing pages and has pricing plans from $79/month. 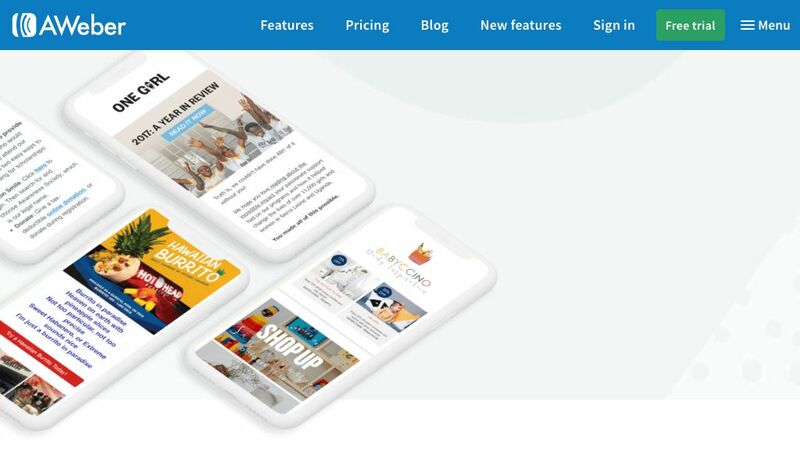 Leadpages is a landing page service that is geared more towards lead generation and boasts mobile friendly templates, popup boxes and the ability to take payments. 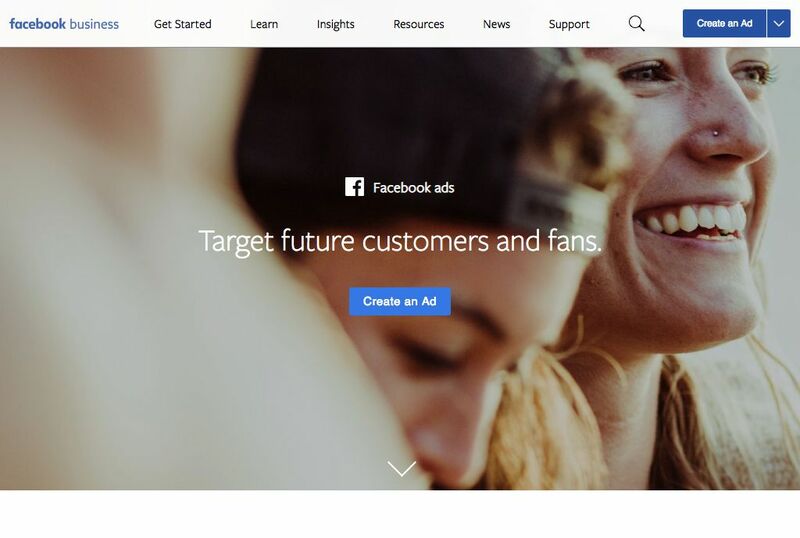 There is also a Facebook Ad creation tool. 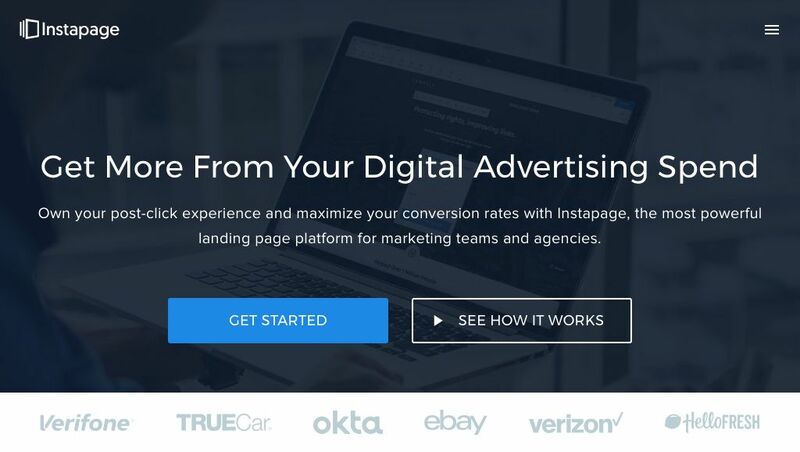 Instapage focuses heavily on conversion rate optimisation with an Optimisation Suite where you can manage A/B testing, see heat maps of your landing pages and more. There is also a collaboration feature to allow teams to work together on landing page more easily. Landing pages are particularly useful when you are running Google Adwords campaigns to drive traffic to your lead magnet. Interestingly even before someone has converted on one of your forms or landing pages they can still be a lead. Given that 97% of visitor to your website leave without converting, wouldn’t you at least like to know which companies those visitors are from? As an all-in-one solution Jumplead includes the ability to identify visiting organisations from their IP address. There are also services that offer this as a stand alone function. Lead Forensics is a well known option in this field, after identifying visiting organisations they provide the contact details of people from the organisation. They don’t publish their pricing and have a reputation for being relatively expensive. 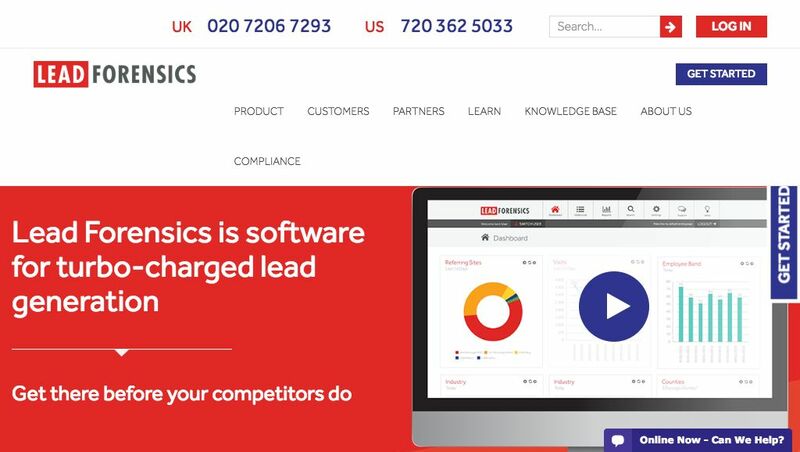 A1 Webstats offers the same service as Lead Forensics with a UK focus, again they provide details of potential leads within a target organisation. 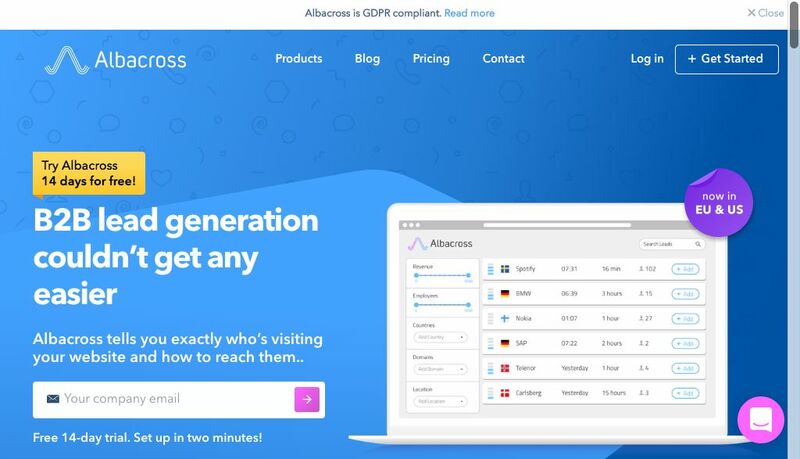 Albacross also identifies activity at an organisation level and combines this with the contact details of people from the organisations they identify. Once you have a lead then it’s important to maintain your relationship with them over time and email is the go to way to keep your leads engaged. The ROI of email marketing is notoriously high with a return of $44 for every $1 spent. What’s more automated email messages average 70.5% higher open rates and 152% higher click-through rates than “business as usual” marketing messages. That’s why email marketing should be an integral part of your lead generation process. 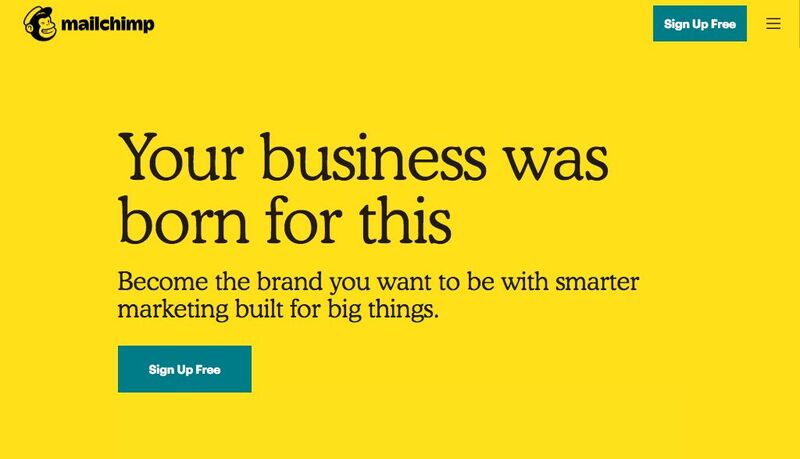 MailChimp is probably the best known email marketing tool, with a free plan that includes up to 12,000 emails a month for up to 2000 subscribers. There are plenty of templates and a comprehensive knowledgebase. Paid plans start from $10/month. 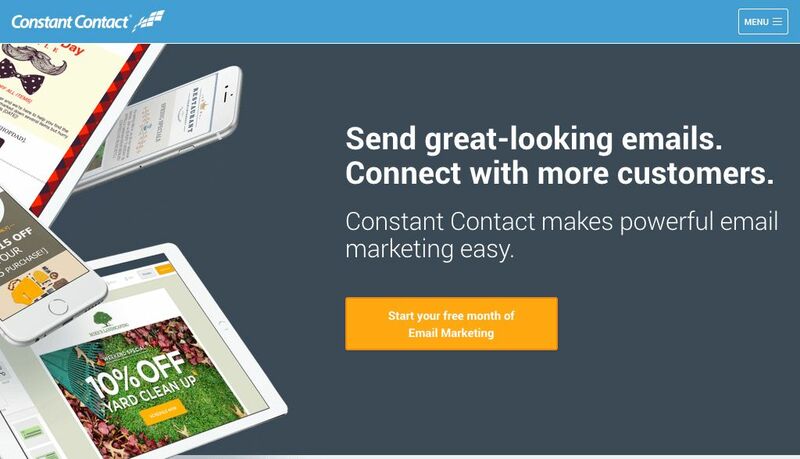 Constant Contact offers expert guidance and live support designed to help you create mobile-optimised email campaigns that look good on any device. There is also real-time reporting and analytics to help you see what’s working in your campaigns. Pricing starts at £20/month for 500 contacts. Aweber is geared towards small businesses and entrepreneurs, featuring access to a stock image gallery, free image hosting and RSS to email features. Bounced emails are also auto-removed from your list to improve deliverability rates. Pricing starts at $19/month for 500 contacts. 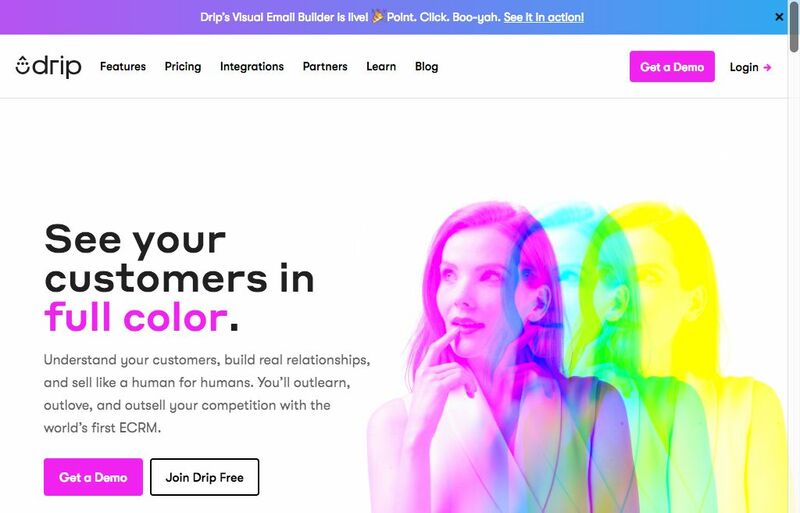 Drip positions itself as ecommerce marketing automation and is geared towards delivering automated email campaigns much more in the mold of marketing automation than traditional email services. Pricing starts at $49 for 2,500 contacts. 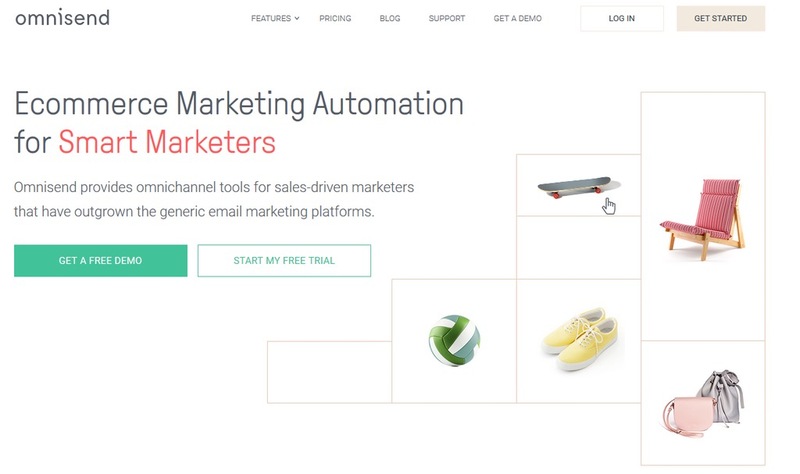 Omnisend is an omnichannel marketing automation suite created for ecommerce marketers. With deep ecommerce platform and channel integrations, you can set up omnichannel automated workflows with your own products and offers in a matter of minutes. Their standard plan starts at $10 a month for 15,000 emails. Marketing automation software combines lead capture with email marketing automation and lead management capabilities. These systems are traditionally geared towards enterprises with the aim of scaling lead generation and nurturing. Because they span lead capture, tracking and email marketing they can score individuals based upon a wide range of activity and provide lead level insights and personalisation. 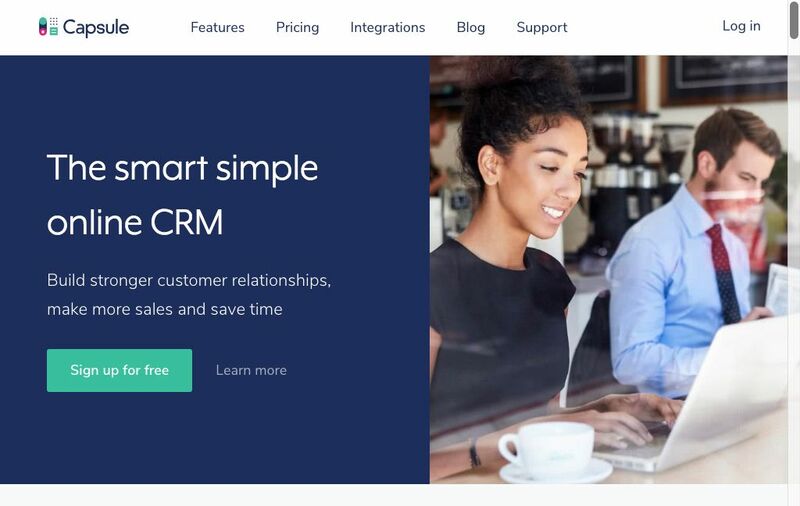 Synonymous with inbound marketing and the use of content to attract potential customers based upon their needs HubSpot also offers a free CRM. 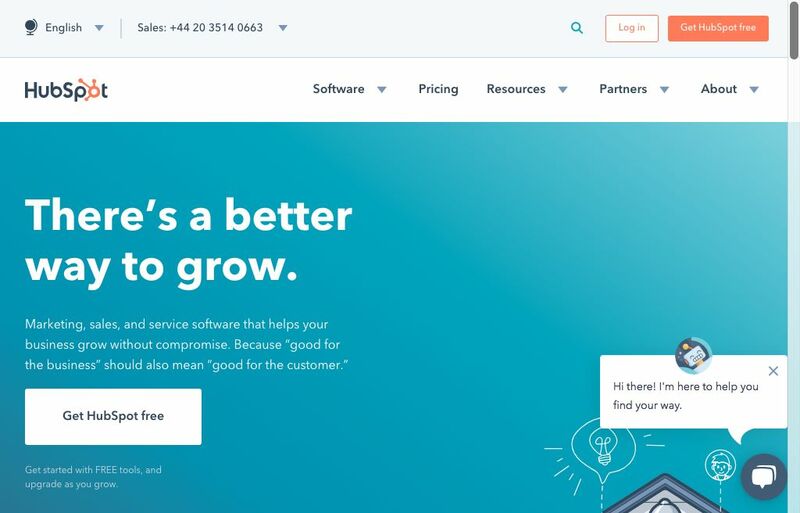 HubSpot (as well as a few other services) don't include all features on all of their plans, so for example to get Workflows you need to be on a plan at around $800/month.